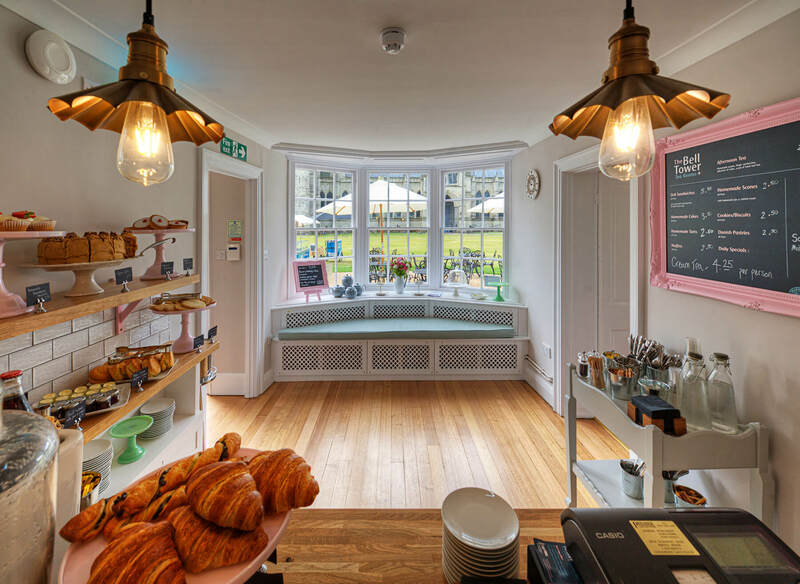 As part of the 800th anniversary celebrations of the Magna Carta, Salisbury Cathedral commissioned Benchmark Designs to develop the interior design and branding for their new tearooms, “The Bell Tower”. 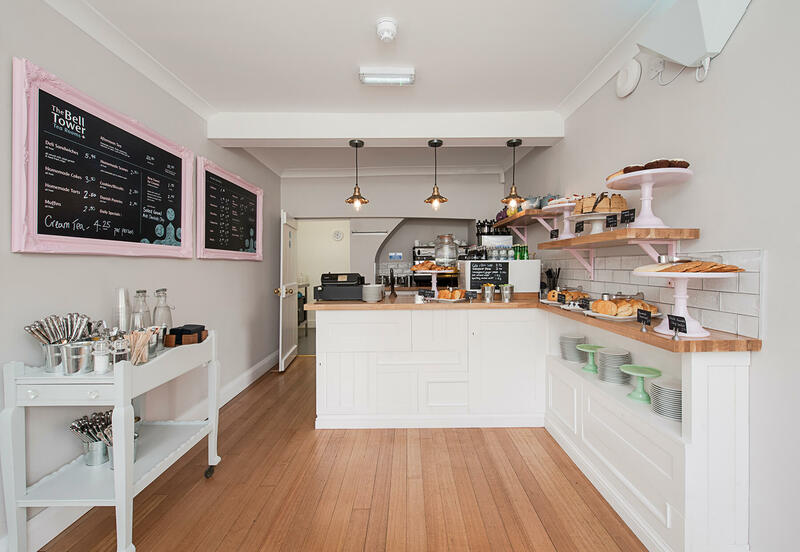 The tearooms are located on the site of the original bell tower, which once stood alongside the cathedral, which influenced the name choice. 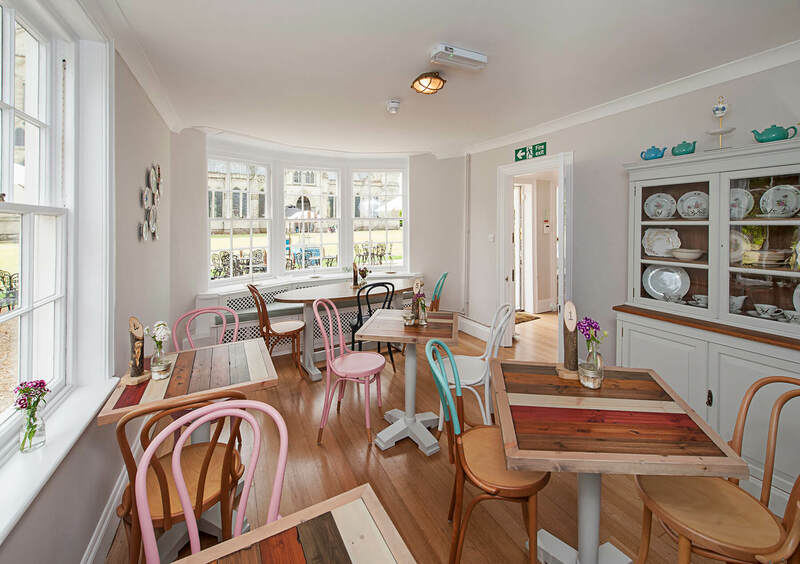 However, we took a different approach for the remainder of the interior and branding, deciding it needed to reflect a modern interpretation of a classic tearoom, fusing vintage features with a clean and minimal scheme. Highlights of the interior featured colour dipped furniture, bespoke designed and printed wallpapers, reclaimed door panel counters and upcycled vintage furniture.